The #1 Rated Plumber in Gilroy! We know when your plumbing fails you can't afford to be without it for more than a few hours. Our goal is to complete our services not only with the highest degree of excellence, but also as efficiently as possible without sacrificing quality. While repairing your plumbing, we always place safety—of our technicians, your family, your pets, and your home—first. We know that a job done poorly the first time will just cost you and our company more expenses down the road. We do every repair according to current safety codes and standards, no matter how tedious. Our emphasis on quality and safety are what makes our customers return again and again for future plumbing repairs in the Gilroy area. We are proud of our loyal customers, and we acknowledge this through our reliable and outstanding service record. Gilroy takes garlic seriously. We take plumbing seriously. When you choose us, you won't have to worry about whether the plumbing job was done right—you'll know it was! We are grateful for our loyal customer base, and we value honesty and integrity in our employees. 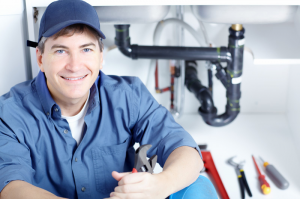 If you ever are in need of plumbing services in Gilroy, we are the plumbers you should call. With 24-hour availability and top- notch servicemen and women, what's stopping you? When you choose us you will also be helping support a local business. Add our phone number to your emergency contact list! We are always looking to establish new friends and lifelong partnerships. We love Gilroy, not only for its world famous annual garlic festival, premium outlet mall, beautiful outdoor parks, and relaxing atmosphere, but also for the relationships we've built with community members. We provide outstanding services to all Gilroy neighborhoods. However, we are always willing to travel outside of Gilroy to provide excellent service. Our everyday service area includes nearby towns such as San Martin, Morgan Hill, Hollister, and Watsonville. We are also available in additional areas for larger jobs, or when we're available for them. Maybe you have a relative in Los Gatos in need of plumbing repair? Perhaps you upgraded to a beautiful beach side home in Carmel? Don't forget about us! We still want to be your plumbing services provider of choice. Unlike a lot of other plumbers, we're also happy to recommend plumbers in additional areas, like Stockton, Oakland, and even San Diego.